The following custom rom for Lenovo A6000 & Plus is so far the best development by the developer Dimid who has been dedicatedly working on this rom and has brought a bug free and stable custom rom. Lenovo A6000/Plus AOSP V2 Custom Rom is built on 64 Bit cpu architecture and is packed with lots of features meant for performance and stability. Few major tweaks and modifications done on this custom rom are pre-rooted, init.d working fully, kernel is modified, GPU frequency of 306-465 MHz and with only 2 cores working with full functionality (don’t worry the rest two revives when needed). AOSP V2 Custom Rom for Lenovo A6000/Plus is better than the other custom roms so far and it is based on Android Lollipop 5.1.1 and personally after testing we felt a huge difference from it’s previous version. So do not wait, just download AOSP V2 Custom ROM and flash the custom rom on your Lenovo A6000 or Plus and experience the difference. DISCLAIMER : We will not be responsible if your brick your device or your SD card doesn’t work anymore. 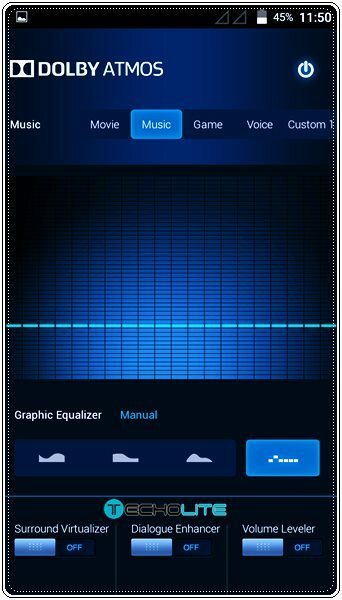 Flashing or rooting devices breaks the warranty of your device. It is your sole responsibility to go any further, Techolite or its authors will not be bearing any loss incurred by you. NOTE : The AOSP V2 Custom rom on the first boot, the language is set to Russian by default, please do not worry and watch the video below. Follow the instructions and you can set the language to English. 1. Tariff on status bar is not in english. 2. Default launcher is buggy not working. I cannot play videos on facebook and youtube. Can you please help me with this? Hi thanks so much by this rom for lenovo a6000. I run o tnis fimware last week so its very stable i not find bugs good battery condition bud long i must long carging more 6 hours.Whit orginal firmware isnt short time to full capacity battery.THX by multi langue and czech langues ad this rom. Bug fix…just convert trebuchet.apk from system app to user app with link2sd (you can use another similiar app). Thanks man for this ROM. Its a perfect ROM for a6000plus, very smooth and excellent battery backup. Both are same. No difference. Sorry for the confusion. This means that your device should be running on Lollipop, no matter what type of rom it is but it should not be Kitkat. 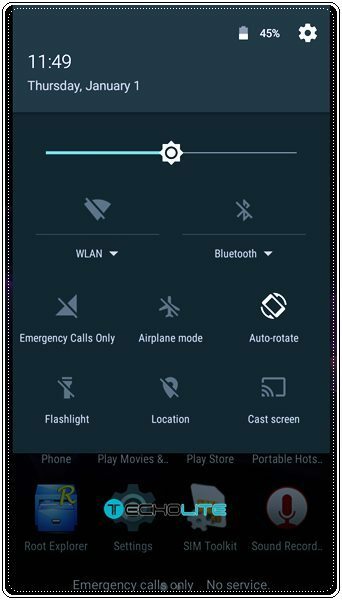 If you’re not on Kitkat then you will first need to upgrade to Stock Lollipop and then you can flash the Lollipop based custom rom. a very good rom ……. but i am facing a problem the device is terribly heating up ….. what is the problem ? I have been using it for last two days. And there are some bugs which needs your attention. Otherwise the ROM works like magic and its very smooth. Just tell me how to fix those 2 bugs. Yes I am also facing same issue. Even status bar network stat traffic also not in english. But still it is best ROM compared to stock rom other than above points. I tried to follow your guide but i’m still cant install TWRP on my phone. When i entered “adb reboot boatloader” on cmd it said ” error:device not found”. It maybe because i haven’t install the lenovo CDROM in my computer but that because i can’t find it in my devices. Maybe because i’m not on stock lenovo rom anymore so i can’t install the CDROM. So should i go back to lenovo stock rom Lollipop in order to Install TWRP? Hi, i tried to follow the step you gave me but i can’t install TWRP. When i enter comaand “adb reboot bootloader” on cmd it says “error devices not found”. I think it maybe because i haven’t installed the Lenovo CDROM in my laptop but that because i don’t see any of it when connected my laptop and phone through USB Cables so i can’t install it. I only saw Internal Storage and SD Card option in my Lenovo a6000 in My Computer. Maybe because my phone is not on stock lenovo rom anymore so it doesn’t have the lenovo CDROM. So should i go back to Lollipop first in order to install TWRP? Firstly, you won’t be able to see your device in the adb devices list in the fastboot mode. 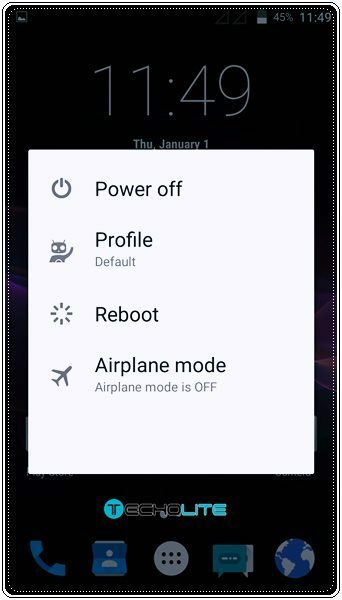 So, turn off your phone and get into fastboot mode my pressing power+volume up button. Then attach your phone through USB to ur computer. 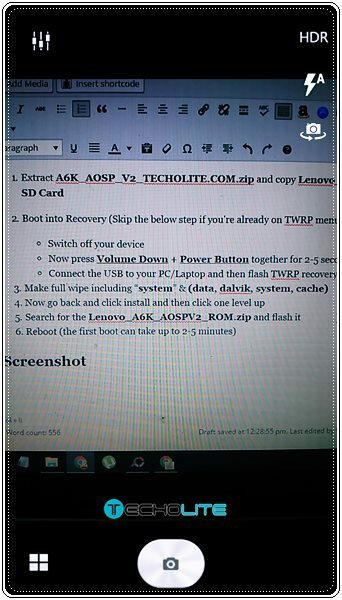 Copy recovery.img in adb and fastboot default location and use fastboot flash recovery recovery.img to permanently flash the required recovery. Hope this helps….. 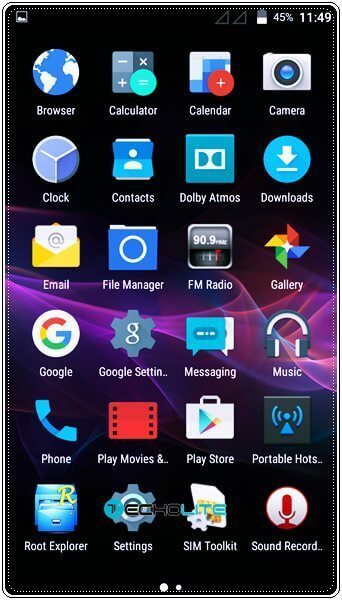 Right now i’m using AICP custom Rom Lollipop 64 bit. If i want to flash this AOSP V2 Rom do i have to revert back to lollipop stock rom first??. No, you can directly flash it. But to install this Rom i need a TWRP right? And i can’t access the TWRP recovery mode. I try to switch off my devices and press the volume button and power button at the same time but it only show the normal android recovery mode (not TWRP). Should i install TWRP again? Boot it using adb fastboot mode. You might have entered this “fastboot boot recovery.img” This is for booting to recovery and not permanently installing TWRP. To permanently install TWRP using adb fastboot method you need to enter”fasboot boot recovery recovery.img” And then try pressing the buttons. You mean to say 4G is not being displayed? 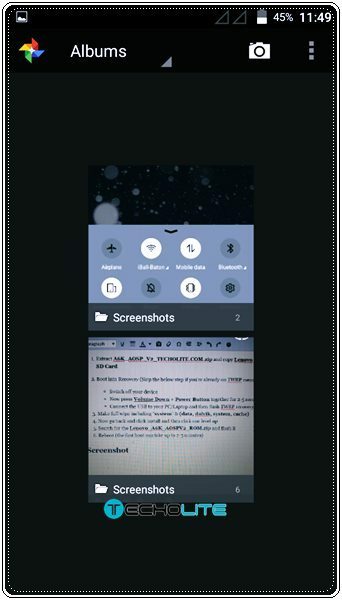 Nice rom with no bugs, a place for everything and everything in it….. Very awesome Rom for lenovo a6000+. This Rom’s system look like kitkat 4.4.4 so i really like it.Thanks for sharing this rom……..Thanks a lot. How did you flash the ROM? I’m getting an error. Please help. No bugs at all. Vry nice rom. Glad that you liked it. All appraisals goes to the original author of this rom. Ramesh can you please elaborate it bit more? 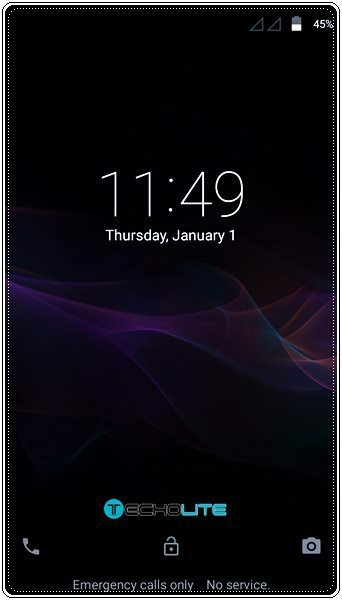 I am using MIUI 5.1.1 ROM on lenovo a6000. Can I flash this ROM directly…? Yes you can flash it directly.